Home / game / gamers / News / obt / Playpark / Tanki Online now available on OBT. 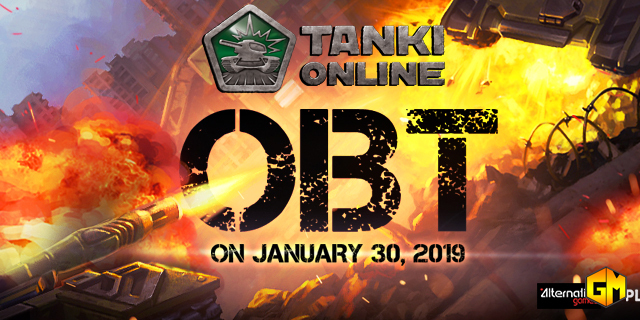 Tanki Online now available on OBT. PlayPark's newest game, TANKI ONLINE, is now on Open Beta Test! Southeast Asia can experience first-hand this award winning browser game from Europe without the hassle of downloading and installation! Tanki Online is an intense PVP centered game with several exciting game modes that will keep you on the edge of your seat. You can customize your tank thru numerous weapon modules and upgrades also make this game a compelling game to play. The OBT now allows “tankers” further customization control on their tank with PlayMall top up service fully functioning. On top of that, SELECTED accounts can create custom rooms for tournaments, barkada fun time and even a showdown. Play daily to catch these match rooms hosted by your favourite PlayPark GMs. visit TANKI.PLAYPARK.COM and you can start playing from any laptop or personal computer.